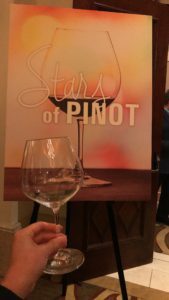 wineLA, Los Angeles’ top source for wine-centered events and education, held their 4th Annual Stars of Pinot gathering at the luxurious Montage Beverly Hills last week. 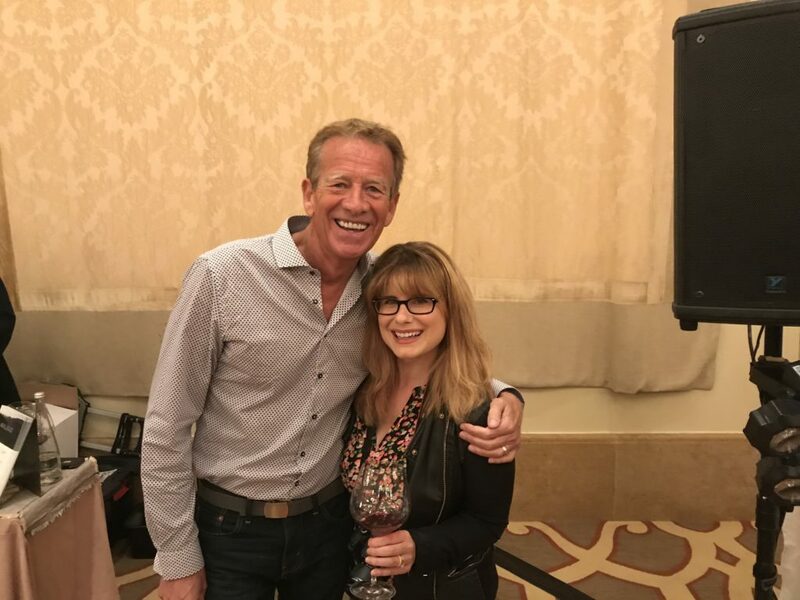 Over 150 wines were poured for enthusiasts to taste, wine reps were on site to talk about their brands and DJ Richard Blade was also spinning the best in 80’s new wave. 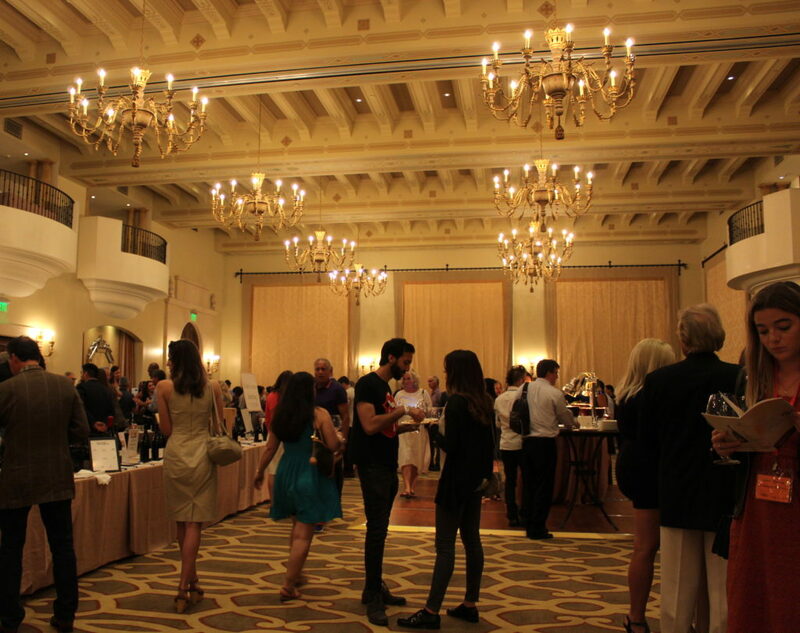 This grand tasting also raised funds to benefit the T.J. Martell Foundation, a non-profit that supports innovative groundbreaking cancer research. 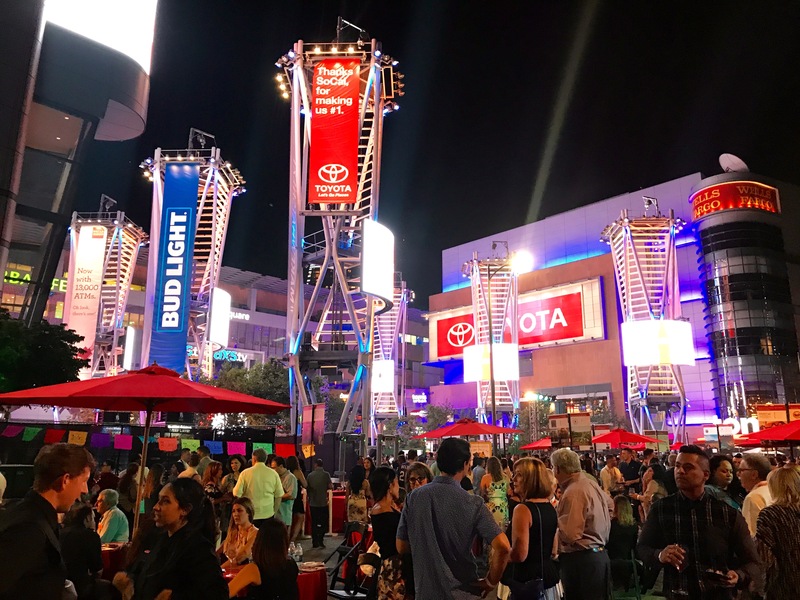 One might be under the impression that an event like this would be suited for the high rollers at wine auctions, but it was actually much more approachable. With my general admission ticket (priced at $75) I was provided with a beautiful complimentary pinot wine glass and given access to taste any wine on the floor of my choosing. Plenty of cheeses, breads and Evian water bottles were also included in this ticket. I believe every event should begin with bubbles and clearly, wineLA does too! Sponsor Champagne Henriot was providing guests with a champagne tasting right at the entrance to start the night on a bubbly note. I’ve been to some smaller scale tasting events in the past, but this was a different beast. The Montage ballroom sets a tone for ostentatious LA glamour, with its operatic balconies and lavish chandeliers. However, the wine reps were all smiles and very down to earth. It was a fun mix of luxury and comfort. 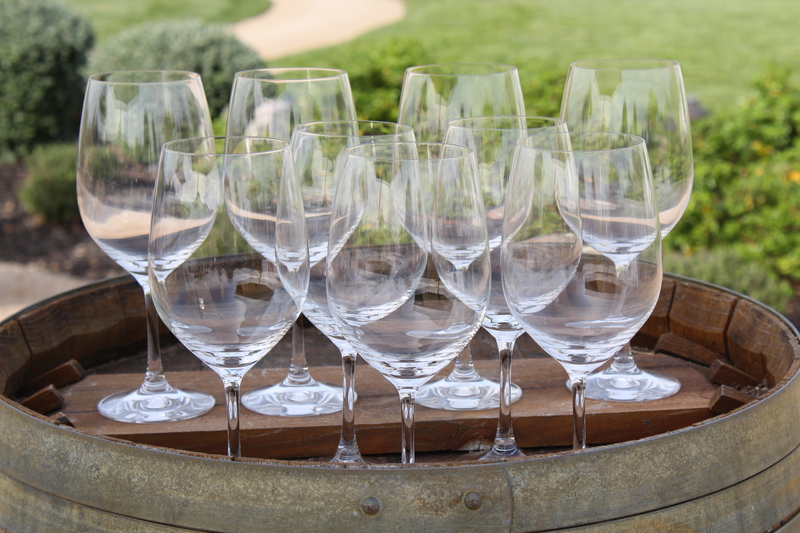 Although this event wasn’t intended for attendees to make on the spot purchases, the reps were readily available with brochures and info on how to buy their wines. Many of the winemakers are also open minded to touring their vineyards, so keep their contact info on file for when you’re in their valley. I started the tasting tour with one of the friendliest faces there–Lindy Willingham, representing A to Z Wineworks–who set a high standard for the night. 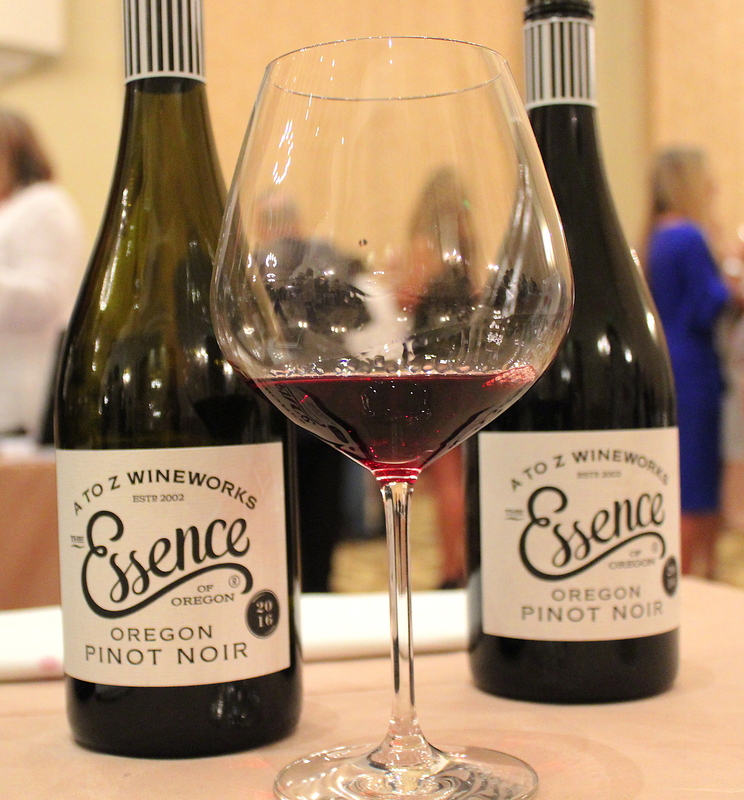 Their ’16 A to Z Essence of Oregon is lighter-bodied with notes of stone fruits, perfect for sipping on in the summertime. Although this was an earlier tasting, it was one of my favorite pours of the evening. 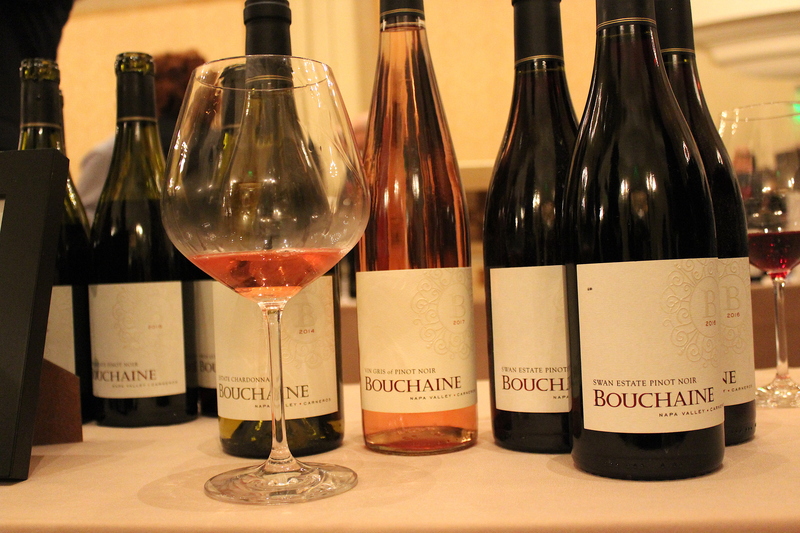 Pinot Noir was the belle of the ball, but many makers also offered samples of their rosé and an occasional chardonnay. Although I attended this one solo (I was there for this post specifically), I do think it’s more fun to attend with a friend. So if you have a wino partner in crime, bring them out! Luckily I did bump into Chef Derrick Fox (who I have interviewed in the past) and I also got to meet one my favorite DJs on Sirius XM, DJ Richard Blade. 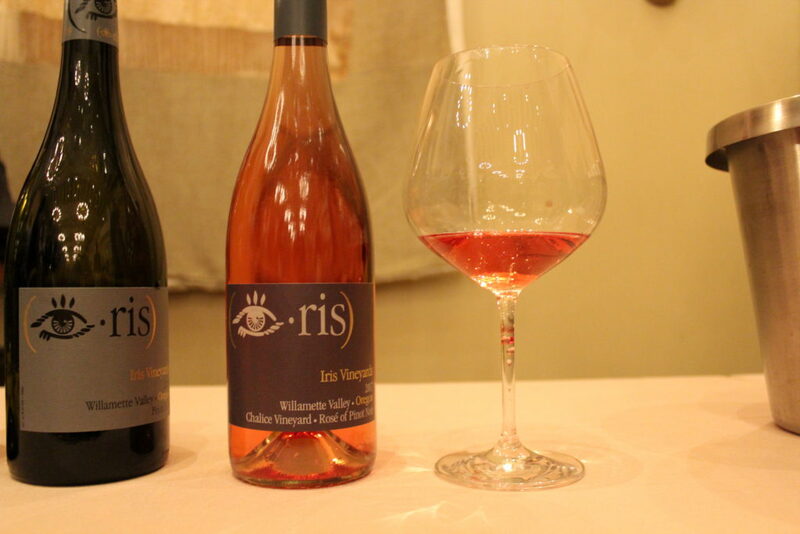 There’s nothing better than discovering wines for a good cause. Be sure to keep up with wineLA’s upcoming events on their website. 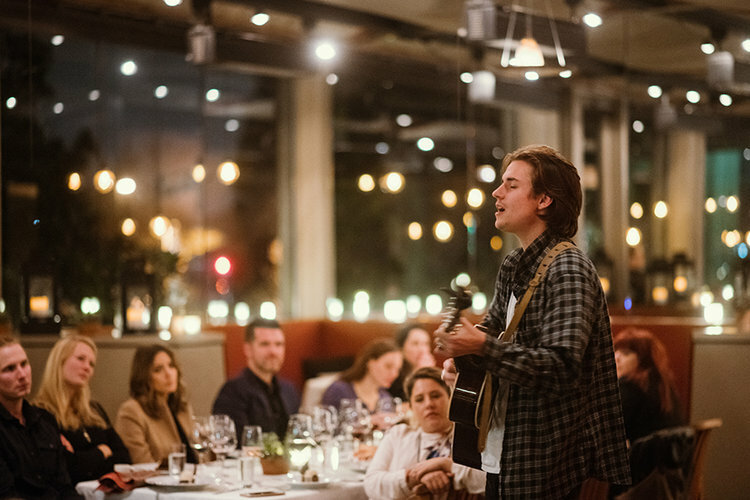 In addition to these events, the wineLA program (founded by sommelier Ian Blackburn) also includes wine classes, private dinners and wine travels abroad. 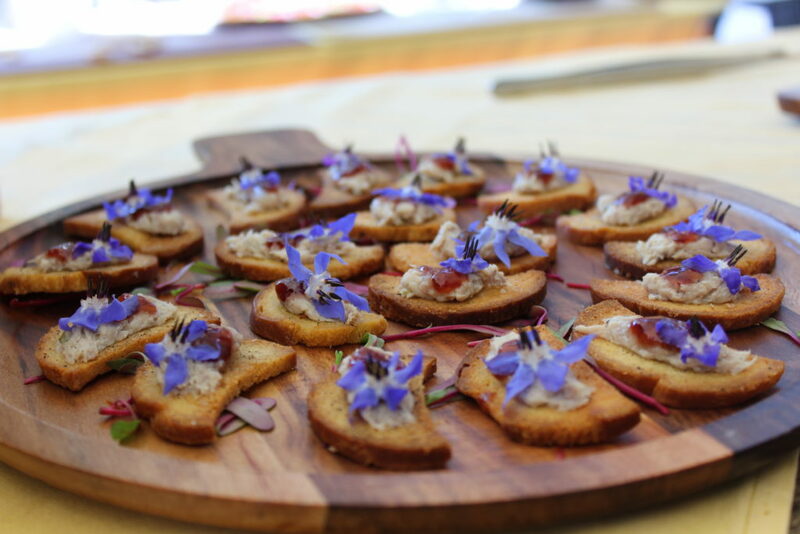 We’re looking forward to the upcoming 2018 Bubbles and Rosé Festival, Sat, August 25, 2018, 1:00 PM – 9:00 PM at Leica Store and Gallery in Los Angeles–keep an eye out on Girls on Food for more information. Although this general admission ticket was comped by wineLA, all thoughts and opinions expressed are my own. Hey GOFoodies! 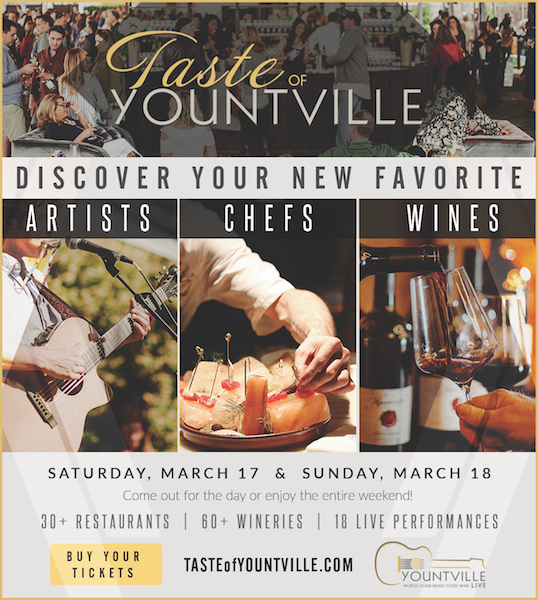 I’m super excited to share that March 17-18, I’ll be heading to the legendary Taste of Yountville festival (a part of Yountville Live). 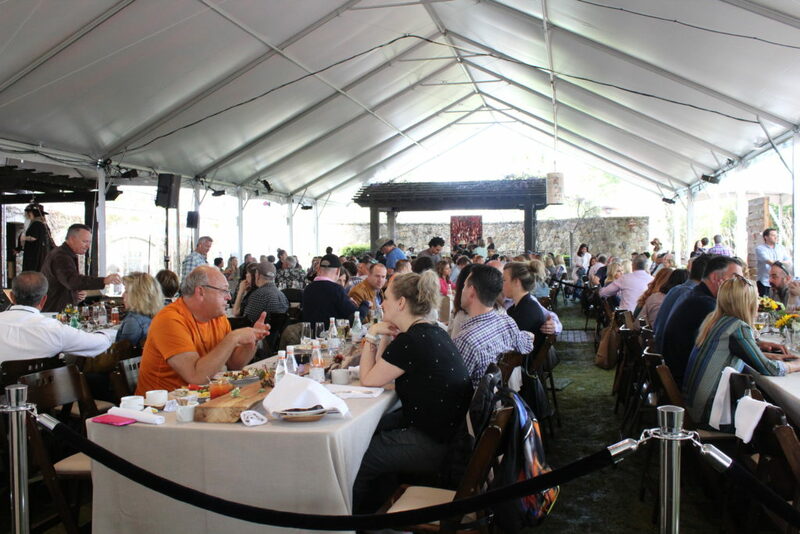 This two-day food, wine and music festival features world-class chefs, wineries and recording artists. I’ll be experiencing it all and sharing it with you on the Girls on Food Instagram stories! Be sure to follow along so you can see how the weekend unfolds. I’m really excited for Stephanie Izard’s demo, which will share the globe-trotting inspirations behind her delicious recipes. A James Beard nominee and the first woman to win Top Chef, Izard is the culinary mind behind the acclaimed restaurants Girl & the Goat and Little Goat Diner. I’ll be sure not to miss Frank Bonanno’s cheese making demo. 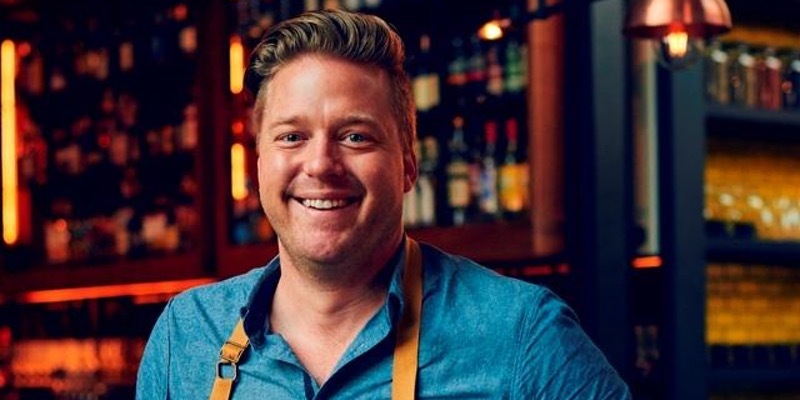 The force behind the Mizuna cookbook and host of PBS series Chef Driven, Bonanno will share his tips and tricks for making burrata and mozzarella from scratch. I’m already hungry! Next up is a lesson on cooking the perfect steak, featuring wines from Eleven Eleven and Michelin-starred chef Ken Frank of La Toque. After experiencing perhaps the best meal of my life at his restaurant, I can’t wait to see what Chef has in store for us. All that excitement, and that’s only the lineup for day one! Day two includes a deep dive into how environment impacts flavor, featuring experts from Cochon555 and Silver Oak/Twomey Cellars; a demo by James Beard featured chef Lisa Dahl of Dahl & Di Luca Ristorante Italiano; and a session by Claudia Sansone, whose three decades of culinary experience includes writing cookbooks, producing television shows and running her own cooking school—not to mention various humanitarian projects. Follow @girlsonfoodblog so you can keep up with my adventure in real time. If you’re in the area, tickets are still available. Buy yours today, and don’t forget to say hello! The world of foodie apps is like the wild west right now. Developers are striving to become the next big thing, but few apps offer anything unique to stand out from just being a local restaurant directory. I thought I had seen it all with these apps, until GOF blogger Marcie told me to check out an app called Renzell and it has since become my go-to restaurant directory app. 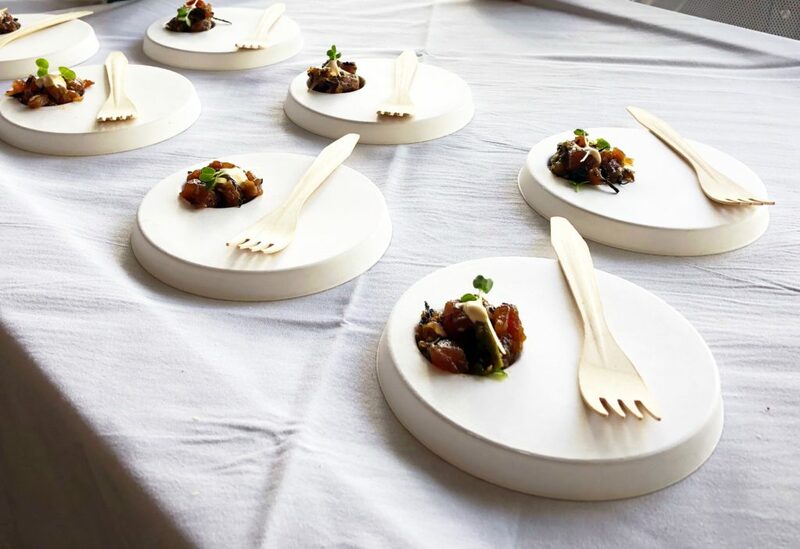 It’s for those with impeccable taste – What separates Renzell out from the other apps is a restaurant directory that is specifically hand-picked by Renzell staff of fine dining establishments in major metropolitan cities. This app isn’t here to help you find a new coffee shop, it’s to help you find the perfect special occasion spot. Think Marea in NYC, Redbird in LA and Alinea in Chicago. Be undercover – Members can rate restaurants anonymously through their surveys, which are scored based off overall numbers, no long write-ups required. 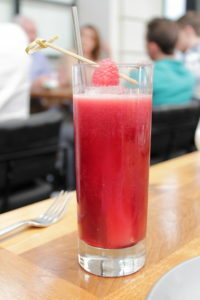 Their surveys are broken down into categories like ambiance, service, food and cocktails. What I love about this so much is that it’s not public what scores users gave, so I can quietly and candidly score spots. See full list of restaurants here. Prove it – There is also more accountability in the scores than other review apps. Members are encouraged to show proof of dining by providing a receipt from their visit. This makes me feel better when I read the scores, cause it’s lessening the likelihood of fake reviews. Get rewarded! – The more you survey and/or provide proof of receipt, the more goodies you can get! Recent rewards include Starbucks gift cards, SoulCycle classes, a month of free Spotify premium and so much more. With membership benefits, secure anonymity and consistent app functionality, I will consider myself a “lifer” Renzell member. After much debate and consideration I was able to narrow down the awesome (pescatarian friendly) bites and beverages from AltaMed’s East LA Meets Napa & La Rioja as well as OC Meets Napa & Mexico. 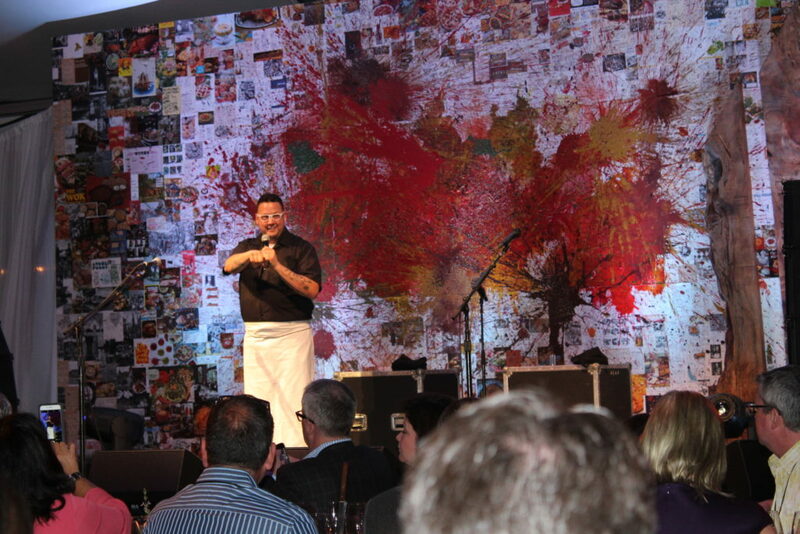 The events were incredible fundraisers with proceeds supporting health care for uninsured patients (from AltaMed). I couldn’t believe how huge the event was and was happily jumping from one table to the next in my attempts to try everything. 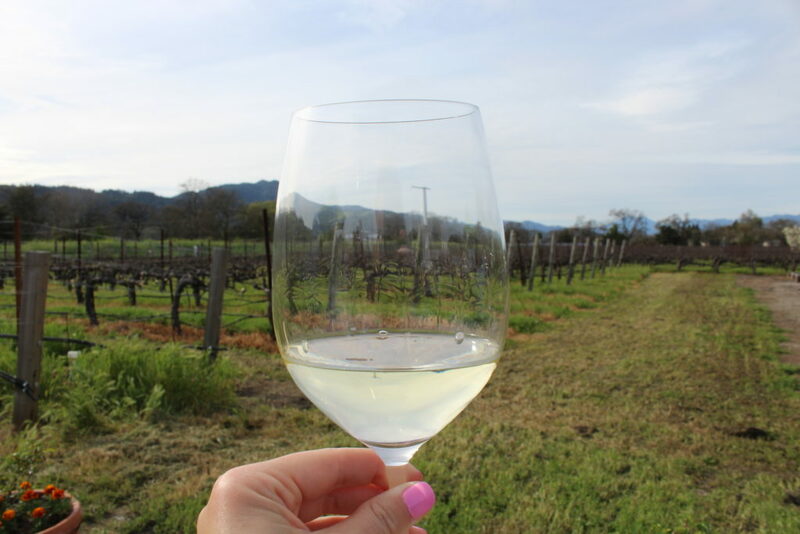 Recently I was asked to cover Yountville Live and although any time off from the event was limited, I couldn’t resist sneaking a few places in. 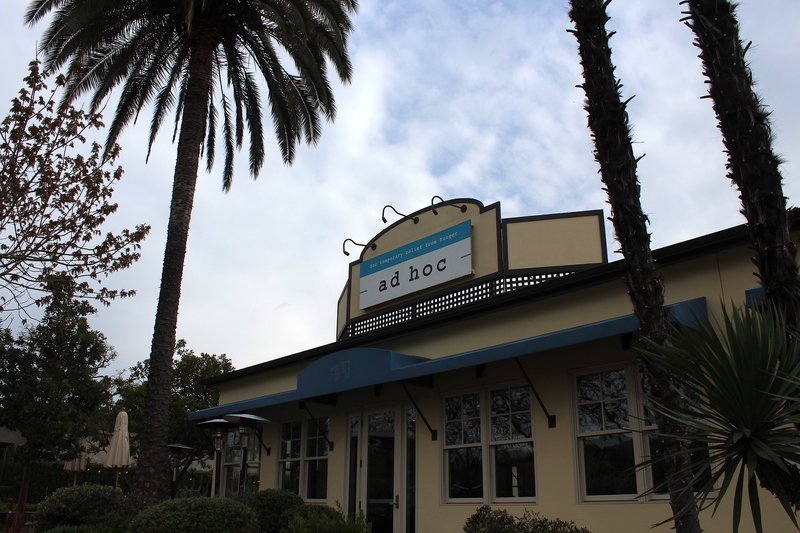 My experience at Ad Hoc was made extra special with the manager allowing me to go behind-the-scenes, I wanted to share with all of you. 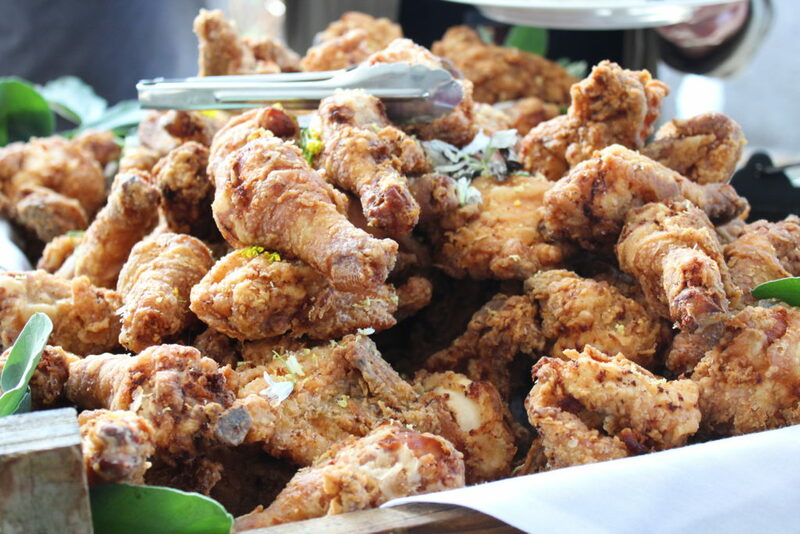 So put on your stretchy pants for a family-style feast!